Colorado University has officially hired Georgia defensive coordinator Mel Tucker to be the new head coach of the football team. After starting the 2018 season 5-0 and ranking in the top 25, the CU football team went on to lose seven straight games and finish another disappointing season at 5-7. That, amongst other issues, was enough to call for the firing of former head coach Mike MacIntyre. MacIntyre finished his six-year career in Boulder with a 30-44 overall record, with one Pac 12 Championship game appearance and one bowl game appearance -- results that felt underachieving to what the fan base was hoping for when CU hired MacIntyre. Now, athletic director Rick George and CU football hand the keys over to Mel Tucker, a name not many here in Colorado are probably familiar with, but a name very well known amongst college football circles. 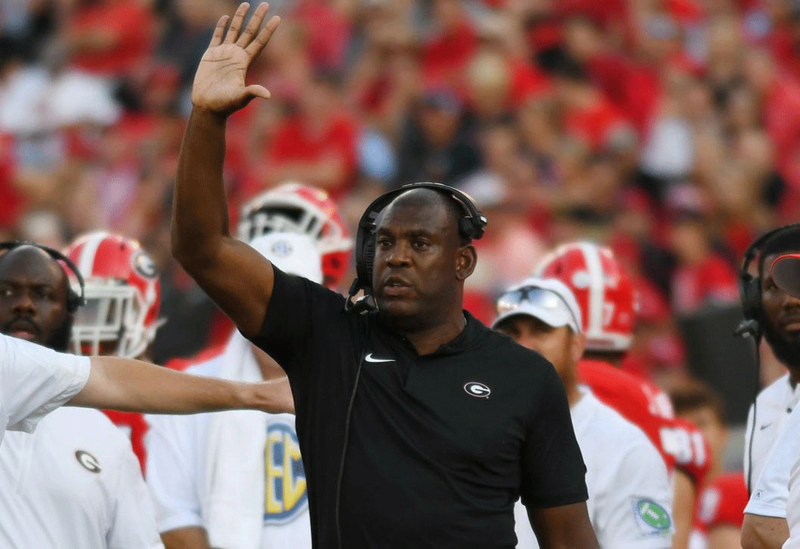 Mel Tucker became a popular head coaching candidate last year after Georgia was a top team in the nation and played against Alabama in the national championship; Georgia and Tucker's defense was a big contributor to that success. Schools like Tennessee started to recognize Tucker's coaching talent and were interested in him, discussing their head coaching vacancy. Luckily, these schools passed on Tucker and he remained at Georgia. His tenacious defense continued their success this year as Georgia ranked as a top 5 team and a top 15 team in overall defense statistics. CU's athletic director Rick George said that after he fired MacIntyre he was looking for a more defensive-minded coach. There wasn't a better or brighter mind than Mel Tucker's when it came to defense, and there wasn't a better job available than the opening in Boulder. It seemed like a perfect match and, as of Tuesday night, the two sides made a deal. Coach Tucker is expected to officially be announced as the head coach sometime this afternoon, Wednesday, Dec. 5. Of course, there are some questions or concerns that follow a first-time college football head coach. Like, how does he handle the responsibility of putting a coaching staff together, or can he handle making a big-time decision late in a 4th quarter game? Only time will tell, but for now, there are plenty of good reasons to be optimistic about Mel Tucker's arrival in Boulder. A new face gives the team and fan base a sense of excitement, something that had gone noticeably missing during these last couple of years. Welcome to Colorado, Coach Tucker! Things to do in Denver this weekend (Dec. 7-9)!